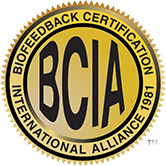 Neurotherapy is biofeedback for the brain. It measures electroencephalograph (EEG) activity and works with neuronal excitation and inhibition to change the brain's timing, activation and coordination patterns. For instance, clients who are experiencing "brain fog" due to a concussion might train their brain to return to its original state of concentration and focus. Neurotherapy is not a quick fix, and like any other skill, requires time, commitment, consistency and maintenance. It involves putting electrodes on your head and moving images on a computer monitor with your brainwaves. 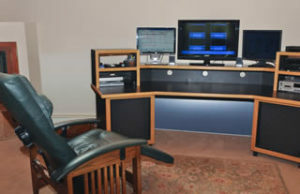 Dr. Lemare-Calaba guides you toward the creation of therapeutic brainwaves states, and the computer gives you auditory and visual feedback when you get it right. 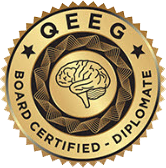 Neurotherapy begins with a Quantitative EEG Brain Map (QEEG Brain Mapping). This gives Dr. Lemare-Calaba the frequency information needed to construct a treatment strategy and provides neurological information about each client's development, injuries, diagnosis, strengths and weaknesses. Although the client's goal in Neurotherapy may be to lessen presenting symptoms, Dr. Lemare-Calaba may present an even higher goal-- to normalize brain function. Normalization means that brainwaves are rebalanced so that they perform flexibly and efficiently—much like an orchestra plays a symphony or a basketball player makes a basket. 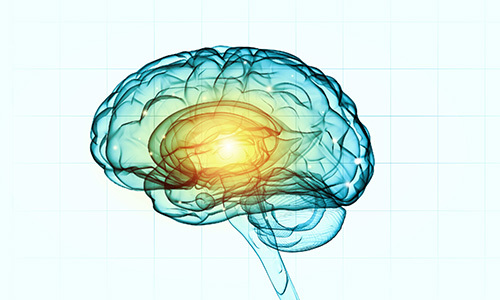 Neurotherapy can result in surprising changes that may surpass the presenting problems. For instance, a child now eats broccoli, or a tennis serve improves. Neurotherapy sessions are conducted 1-3x weekly, depending on treatment goals and severity of problems. Intensives are also available 5x weekly for two weeks. Sessions normally last 30-60 minutes for children and 60-90 minutes for adults. To determine quality of responsiveness, a minimum of ten sessions is needed. To lock in treatment gains, 20-40 sessions is standard. For people who may choose to continue neurofeedback sessions for brain maintenance much like going to the gym, once weekly sessions can continue indefinitely. (Your insurance carrier may not cover your treatment or agree to continue coverage once symptoms have resolved.) Once treatment has ended, clients are encouraged to initiate "tune-up" sessions as needed. Traditional amplitude training; 19 channel Z score training (Loreta, Surface and Network), Neurofield pulsed electgromagnetic frequency stimulation (pEMF) and/or transcranial direct current stimulation (tDCS/tACS/tRNS).